When my sister and brother-in-law suggested South Dakota and the Mt. Rushmore neighborhood as the destination for our family vacation this year, I was a little apprehensive. I was not too sure how much I will enjoy it. Going so far to see large faces of four political figures (albeit celebrated nation leaders) did not exactly give a “Gotta see that!” feeling in me. Besides, I was also worried if it would be a repeat of Grand Canyon, where I was total awe for about 15 minutes, but then soon was wondering Okey-Dokey. What else is here? Is there anything else besides seeing the same at sunrise, sunset, mid-noon, late-noon and late-night? To be fair, that reaction of mine to the Grand Canyon was because we did not do the fun things like trek down to the bottom of the canyon, do white-water rafting, take horse-back rides etc. Those are hard to do on a standard family trip – at least our kind of family trips where little kids and/or senior citizens are part of the gang. Although the senior citizens definitely would not want to hold us back, on these trips you generally want to do things that all can be a part of and enjoy. Our cabin pretty much had all the amenities one could want. Since we also had an expert Tamil South Indian cook with us, after a short trip to a grocery store in Deadwood, and using the minimal supplies we had wisely brought with us, we had Vatthakkuzhambu, Potato Curry, Chips, rasam (sATramudu/saatthumadhu in our lingo) for dinner that day. Yes you heard it – vattakkuzhambu in Black Hills – South Dakota! Do I need to explicitly say how good that dinner was? Then we relaxed in the hot-tub. Yes, the cabin also had a private hot-tub! And a fine one it was indeed. All we had to do was set the temperature, and wait it a little bit for it to be nice, hot and relaxing. Once the sun went down, the temperature cooled enough for it to be even more worthwhile. Like I said, the cabin had all the amenities one could want. Our only complaint was that it had only one bathroom for the eight of us. Day 2, we were on our way quite early thanks to our bodies being still attuned to Chicago time zone, which is one hour ahead of South Dakota. We had planned to see quite a few places, although at that time, those were tentative plans as we did not feel obligated to push ourselves. At the famous Mt. Rushmore , we captured the four faces on our cameras from four hundred angles. The weather was quite hot, the sun hitting hard, but we still walked the “tourist friendly” trail that made a curve in front of the mountain. That was quite nice. Still, Mt. Rushmore is an impressive feat – no doubt. To carve these giant faces on a mountain – the scale of the operation is still mind boggling. And of course the features on the faces, are brought out sharply, and clearly. The eyes seem lively. The sculptor Gutzon Borglum was indeed one talented man. BTW, did you know that because of the kind of rock they were carved on, the faces would be recognizable for a million years or more! I was floored when I came to know that! All in all, it was an interesting and enjoyable couple of hours. After Mt. Rushmore, we headed south to Custer State Park, also in the Black Hills via the very windy Iron Mountain Road. This state park is Bison/Buffalo country against a beautiful backdrop of lush, green hills – a very pleasant scenary. You add roaming Bison/Buffalo herd to this, and if you have seen the Kevin Costner movie, Dances with Wolves, you will be able to relate to this scenery a lot. By the time, we saw those Bison next to the road, my daughter who was weak from car sickness was asleep. Later on I spotted another herd, and I saw that my daughter was awake although still lying down. I excitedly told her to look at the Bison, and without even raising her head, she replied with a deadpan voice: It is just a buffalo. I kept silent after that 🙂 ! After all it was not like we were seeing lions, tigers and elephants! We then headed to “Hot Springs”, which judging from the “marketing literature” seemed to have warm natural springs at the foot hills of some beautiful hills, with wild horses running around lush green fields. Yes the kind of heaven one would think to find only in dreams … and in marketing literature. Hot Springs as it turns out, is the name of a town. To be fair, it does have hot springs, but that is now a giant indoor swimming pool with water slides etc. – in other words South Dakota’s version of the Wisconsin Dells. Those wild horses were part of some ranch 15-20 miles away – a wild joke on us on a blisteringly hot day. Our only hope was what was advertised as a “Mammoth Dig”, which (supposedly I now thought) was a real dig site of Mammoth bones and fossils. By now, our interpretation of the marketing literature was leading us to suspect that this would be a mammoth disappointment. But we were luckily wrong. This dig site, around which a museum type of building is built, is indeed quite impressive. Apparently long ago, it used to some sort of a watering hole (a very very deep one) which turned out to be a death-trap for many Columbian Mammoths. The site is full of bones and fossils of Mammoths and some other animals. I forgot the number of mammoths whose bones have been identified, I think it is in the fifties (or eighties?) – and they still have not explored all of it. On our way back, we stopped at the Crazy Horse memorial, which is to honor an Native American Chief Crazy Horse, or as was clarified to us, the spirit of Native Americans. This is their answer to Mt. Rushmore, although it is still very much under construction. It is being managed by the family of the original sculptor (Korczak Ziolkowski), and he purposefully it not want it to be under Government management. The downside perhaps is that progress is fairly slow and it may not get done in my lifetime. The chief is on his horse pointing at something, and one of the exhibits/material in the museum said it was as if in response to being derisively asked by the colonists and nation builders Where are your lands now? The response is Here, as far as our eyes can see (i am paraphrasing here). By the time, we got back from Crazy Horse, and had our dinner, I was beat, even too tired to hit the Hot Tub. But that was me – others (including my daughter) certainly made good use of it. My daughter’s “journal” for that day had a complaint section, which included the entries: Too much driving. Not too many animals. On day 3, once again with an early start, and we headed for Badlands, which were about a couple of hours drive from where we were staying. Our main agenda for this day was Badlands as we thought this would take most of the day, and we were also happy that we covered a lot of places on Day 1, and now we can “ease off” comfortably. We explored a cave on the way. I expected the caves to glitter with many crystals but it did not. Nevertheless it was quite interesting as we went quite deep down. It was amazing to see how many nooks, corners, and hidden passages were there in the cave, some with extremely precipitous drops. It was also interesting to know that that cave’s temperature remained 47F-52H throughout the year – so in the dead of the cold Dakota winter, one can find “warmth” in that cave. In summer, of course, it is on the chilly side. This is the first time I have been deep inside a cave, and while it did not match my expectations of crystalline glitter, it still was very interesting. As soon as we crossed east of Rapid City limits, after just about every farm, or every mile, we were seeing ads for Wall Drug – a big store (not anymore just a drug store) in the town of Wall, South Dakota. The ads were like “Tired? Wall Drug”, “Thirsty? Wall Drug”, “Free ice-cold water. Wall Drug”, “Giant Dinosaur. Wall Drug”, and so on. I am told, if approaching South Dakota from east, the ads start from Iowa – i.e. many hundred miles from Wall! They sure make it seem like it is the only store in South Dakota. And it has turned out to be an excellent decision. It is pretty much fully factual based, with material drawn from biographies, government documents, court cases and documents covering the last few centuries. It highlights the destructive, poisonous mix of greed, arrogance, downright callousness (e.g. in even recognizing that indigenous peoples had rights), which brewed within the minds of European Colonists. This was also there in the American settlers, and the early nation builders, who very much inherited that mind-set, and executed it in the conquest of America. The author, Robert Miller, is a professor at a law school, and is also Native American Tribal judge. He hence looks at the conquest of Native America from a legal perspective, and this is indeed eye-opening as that conquest was done from a legal perspective if you view it from the mind-set of the American nation builders. Special attention is devoted to Thomas Jefferson and the Lewis and Clark expedition. Jefferson as it turns out was quite an expert on the legal ramifications of the Doctrine of Discovery, a master at weaving it, for expanding the American territory. He used every trick in the book. And his is one of the faces on Mt. Rushmore right in the Black Hills, deep in what used to be native American country …. Sure – it is history long past, and what is done cannot be undone. I guess the least we can do is to not shy away from it, or not be ignorant about it. Needless to say, I highly recommend this book. We then headed to the Badlands, an area which looks like as if it is from an alien planet. We were expecting to get scorched there judging from the temperature the previous day, but this day, it was quite comfortable. What we instead encountered were very high winds, with gusts probably close to 50 m.p.h. That made the Badlands, seem bad bad badlands 🙂 It added to the aura of this place. You see wierd mountains, and rock formations with various colors – brown, reddish brown, pink, yellow. The rock formations themselves were quiet alien looking, and this is for miles and miles. However, the place is not completely inhabitable – there is plant life and animal life. My daughter’s “journal” for this day included only the complaint section with the entry: Hot-tub only in the night. She had wanted to get in it when got up that morning, and I guess pretty much whenever we were in the cabin. On Day 4, we took it even easier and visited the town of Deadwood, and also a President’s park. Deadwood figures in an HBO western series. The twin cities of Lead and Deadwood were notorious towns during the “Wild Wild West” days, with a lot of violence related to the gold rush. There was a lot of gold found in the Black Hills area. Even now there are lot of mining related tourist activities – although we did not partake in any. We also visited a President’s Park which also turned out to be very interesting. They had huge busts of all the Presidents of US, and under each there was a detailed writeup of their presidency, which also had a frank and honest assessment. There was one exception to the frankness and honesty, and that was the assessment for the current President, which was entirely complimentary or at worst even-keeled, with no hints at any failures. I suspect that the owners felt that this may be the safe thing to do 😉 ! Finally, in the afternoon we saw the Roughlock waterfalls which was very nice! After that we headed back for dinner and preparation for returning back to Chicago, the next day. All in all it was a very interesting and enjoyable trip. I am glad I went there and I should thank my sister and brother-in-law for suggesting the place (and planning our itinerary). Considering my trepidation earlier about spending 3-4 days there, I think we could have spent one more day, as I felt we missed out on Devil’s Tower in nearby Wyoming 🙂 !! Wow, My favorite destination in the US! Devil’s tower is incredible too – standing out there like a gopuram amidst nowhere. Did you see those hoardings and signs leading all the way to Waldrug? Do read up Bury my heart at wounded knee for more on Crazy Horse. Someday I hope to retire in a small kudisai in Wyoming with only carnatic music and the mountains for company !! Arun: Yep – Devil’s Tower looked awesome from all the photos. I did look up a bit on Wounded Knee after I came back – terrible, terrible stuff. Retire in Wyoming? Interesting but it would be so… cold in winter 🙂 – sort of like Chicago 😉 ! We are driving from Oak Park on Aug 10th and I am trying to find ways to keep my 12/9 yr old girls interested. I’m pretty psyched but I may be the only one. Arun: Thanks Tom! Have fun there – I am sure your girls would enjoy the vacation! You want to hear a funny story. We went a few years ago to Badlands national park from Rushmore. We were driving a Mustang down the road and the sign said “Entering badlands National Park”. 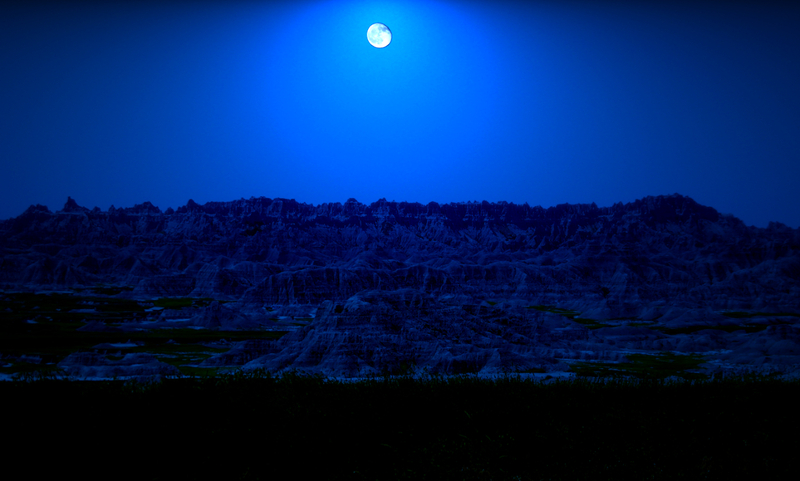 Few minutes later (literally 90 seconds” we see “Leaving badlands National Park”. 🙂 Whoa that park was small. Turns out we were driving fast, but still. It seemed small from the main road. Arun: 🙂 – I think you took a short-cut. So did Ravi the first time they visited. The park is 20-30 miles or so. These are amazing photos! thanks for sharing. I really love to see the black hills, but there is so much to see! I wanted to know if a little boy fell to his death on November 25, 1946? Please e-mail me with the answer or if you know any possible ways to find out!